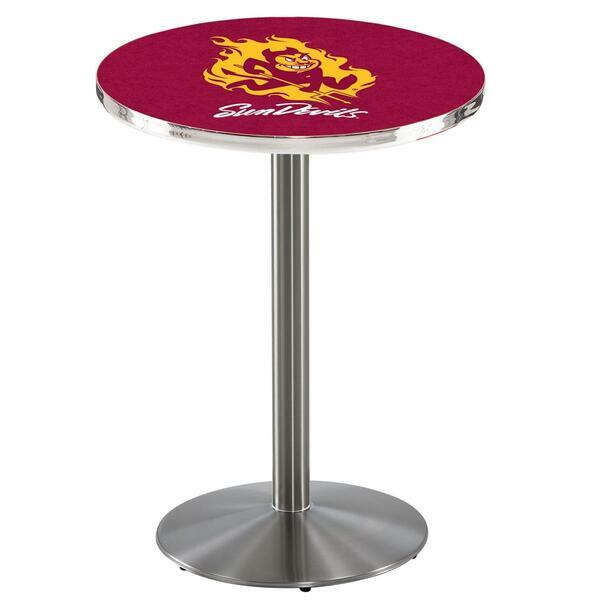 Arizona State Pub Table with Sparky Logo - 36" Stainless by Holland Bar Stool Co.
L214 - 36" Stainless Steel Arizona State Pub Table with Sparky Logo by Holland Bar Stool Co.
Arizona State University (Sparky) Logo Table by Holland Bar Stool Co.
Made for the ultimate sports fan, impress your buddies with this knockout from Holland Bar Stool. 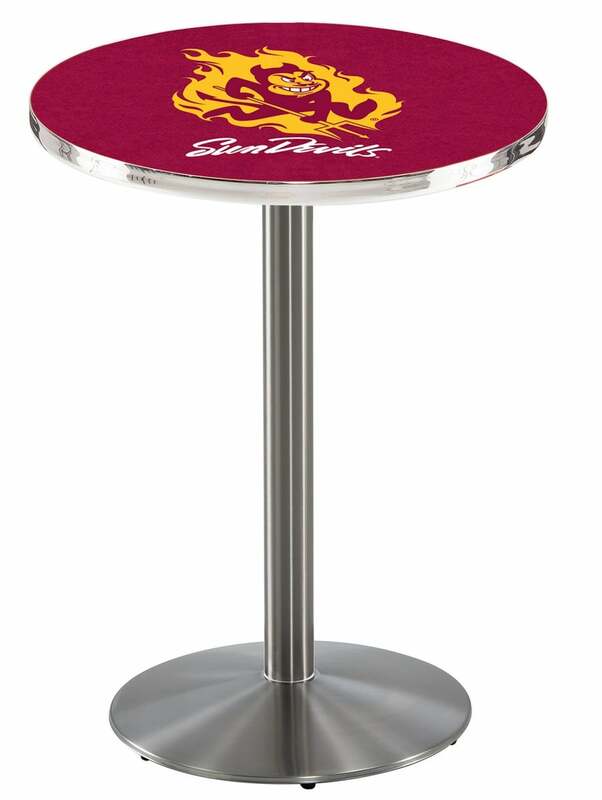 This L214 Arizona State table with round base provides a commercial quality piece to for your Man Cave. You can't find a higher quality logo table on the market. The sublimated, full color, laminate top it attached with a VOC free, environmentally friendly, hot-melt adhesive. The plating grade steel used to build the frame ensures it will withstand the abuse of the rowdiest of friends for years to come. The structure is 304 Stainless to ensure a rich, sleek, long lasting finish. If you're finishing your bar or game room, do it right with a table from Holland Bar Stool.